An owner of a 7-Eleven in Toledo, Ohio responded to a teenager shoplifting from his store with kindness — and now the act is going viral. Jitendra "Jay" Singh was working in the store's back office when his cashier alerted him to a possible shoplifter. Singh confirmed the employee's suspicions when he witnessed the teenager pocket gum and candy on the store's security cameras. Singh approached the teen and asked him to empty his pockets. The teenager placed a few stolen items, mostly candies, on the counter, but Singh knew there was more. 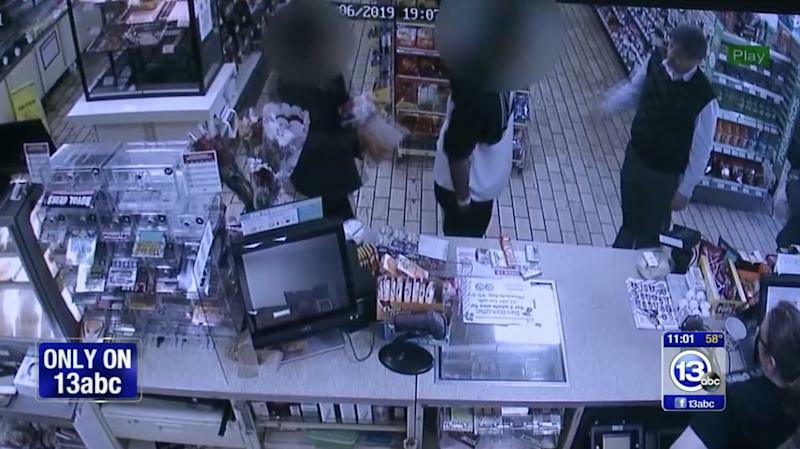 He informed the teenager he could finish emptying his pockets, or Singh could call the police. As Singh's employee called 911 and had a dispatcher on the phone, the boy told Singh why he was stealing. "He said, 'I'm stealing for myself. I'm hungry, and I'm doing it for my younger brother,'" Singh told ABC 13. Singh asked his employee to hang up. "I said, 'Well that's not food. You're stealing gum and candies. That's just something for munching,'" Singh, who has owned the store for five years, told CNN. "I said, 'If you're hungry, ask me. I'll give you food.'" According to a user on Facebook who witnessed the scene, Singh packed up chicken wings, sausage rolls, a whole pizza and a 2-liter bottle of soda for the teenager. To Singh, the small amount of charity made no difference in the long run. "We make a lot of food, we sell a lot of food," he explained to ABC 13. "I said OK, he has some genuine problem. He's not a thief who's going and stealing stuff and selling it," Singh said. "At least [he] won't go to jail. Once you go to jail, you'll have a criminal record later in life. You're not going to be able to get any good job or anything." While thousands online are praising Singh for his act of kindness, his wife of 30 years isn't surprised. "I'm really proud of him and it is the true self of himself. I know him, he's very kind," she said. "We are part of the community, and we have to help the community. It is a part of our job." After the news spread through the area, customers started to come into the store to tell Singh that he did a good thing for the teenager. "For me, it was not a big deal ... I did what any normal human being would've done in that situation," Singh said.